How can you wade through the blogosphere clutter and make sure your information stands out? 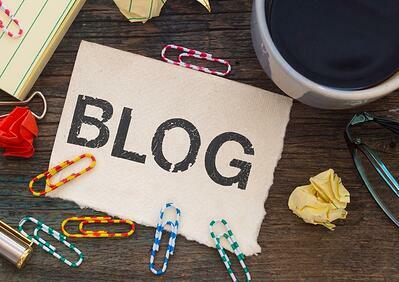 Following are six key points to writing effective blog posts. One of the most basic, yet most important pieces to writing an effective blog post is knowing your audience. If you and your marketing research team has done their homework and established buyer personas, this should be easy. Is your audience the head of sales at a manufacturing company? Or a VP of Operations? Once you know who you’re talking to, you’re able to use language, phrasing and keywords that make sense to the person reading your post. Keeping the above statistic in mind, it’s critical to have a title that stands out in a crowd. As I peruse blogs, seeking information, I’m automatically drawn to those with titles that are creative and different. Once your target persona is pulled in with a catchy title, be sure your opening paragraph moves them to keep reading. Tell a story, show the value of your post, include a staggering statistic (right?!) or ask a thought-provoking question. Since you know your target persona intimately, writing an introductory paragraph should immediately speak to the problem that you will solve for them. This may seem like a no-brainer, but you’d be surprised at the number of blog posts that I’ve started to read, gotten to the end and been left to wonder, “Wait…what was this post about?” As an expert on your product or service, your knowledge needs to be shared with your audience. Make sure you have a purpose or point to the blog post. I have to admit – I’ve read some short blog posts that leave me begging for more; I’ve also started reading (note that I did not finish) lengthy posts that, after about 10 minutes, I just can’t stay focused. Find out what length works best to effectively tell your story. And then consistently provide value-added information to your reader. Whether your post is short and sweet, or nears the thousand-word count, be sure that the information you have included is clearly communicated to your reader. One of the easiest ways to do this is to start with a clear outline of what you’d like to talk about in your post. Next, format it to best communicate your ideas, and make it easy and clear for the reader. Use sections, lists or tips and break it up appropriately. Writing a clear, effective blog post will bring clarity for the reader. Say what you need to say - no more, no less – for the most impact. You’ve written a great post that’s the perfect length, clearly expressing ideas and you’ve told a compelling story. What’s left? A call to action…a way to engage your reader further. As you finish your post, be sure to write in how you would like your reader to respond. Is it sending an email? Downloading a whitepaper or eBook? Or responding with the answer to a posed question? This is critical. Asking your reader to respond is the beginning of the conversation that will generate leads and hopefully, demonstrate the value of active and consistent blogging. There is room for you to start blogging…and if you’re already one who posts regularly, the above tips will help you improve your writing. The importance of content and including regular blog posts, cannot be overstated. A clearly written, intriguing, information-filled post will drive lead generation and engagement and ultimately revenue.